Ahmedabad (India) – Indian police on Wednesday urged people not to believe false rumors circulating on WhatsApp in the aftermath of a wave of aggression, where a woman died, in this country where "fake news "are experiencing more and more tragic outcomes. False reports of hundreds of traffickers of children who landed in Gujarat sparked five attacks on Tuesday in several cities in western India. The frequency of such cases is accelerating in recent times in this South Asian nation, which in its modernization is massively adopting digital means of communication. The wave of aggression has even pushed Gujarat's security forces to launch an appeal: " Do not get carried away by false messages or rumors on social networks and do not attack anyone because of suspicions ". WhatsApp is an extremely popular communication channel in India and rumors are proliferating out of control, sometimes leading to lynching. The hysteria provoked by texting around so-called " kidnappers " has already claimed the lives of at least 22 people in a year, according to the Indian press. Tuesday night in the large Gujarati city of Ahmedabad, persuaded to deal with one of these " gangs ", a crowd of a hundred people has thus taken to a beggar of forty-five, Shantadevi Nath, and three women with her.
" People in the crowd beat the four women with their fists and feet, some even beat them with sticks and pulled them by the hair, causing serious injuries to Shantadevi while three others were wounded only slightly "told AFP police officer JA Rathwa. Rescued by a police officer in charge of the traffic, the victims were taken to the hospital where Shantadevi Nath was pronounced dead. The same viral message, according to which traffickers had arrived in Gujarat in large numbers to kidnap children for the purpose of selling them, caused four more episodes of violence on the same day in this industrialized region. In the city of Surat, a male-dominated crowd forced a 45-year-old woman and her baby to the police station. His accusers said that the child had been kidnapped … but turned out to be his daughter.
" Both were brought to the police station where it was revealed that it was the mother's daughter and they had come to the city to attend a family event " , said a local police chief to Indian media. Deadly rumors are not a new phenomenon in India, as in many other countries of the world, but their emergence is facilitated by the acceleration and democratization of digital means of communication. Helped by the price war of mobile operators, social networks now penetrate into the most remote villages of India. Owned by Facebook, the Whatsapp messaging has more than 200 million monthly active users in this giant of 1.25 billion inhabitants.
" 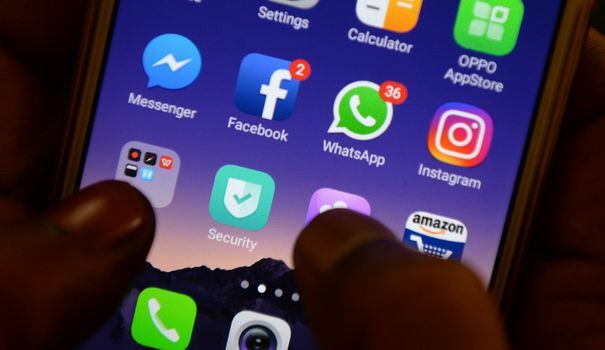 Everybody uses WhatsApp and it's the best platform to broadcast + fake news + nowadays because the mobile internet costs almost nothing and everyone in India has access to smartphones ", told AFP Pankaj Jain, of the website SMHoaxSlayer. Faced with this scourge, experts call for information education and the proper use of online platforms, but rumors are often taken for granted by local media with little regard for accuracy. The encryption of messages on WhatsApp, wanted by the founders of the network to protect the privacy of their users, makes it almost impossible to trace the source of a rumor. Indian police " should respond to these messages with quick clarification and they should use all platforms to counter information " of this type, said Nikhil Pahwa, editor-in-chief of the MediaNama website. However for Jency Jacob, of the fact-checking organization BOOM, " blaming technology is not the right approach ".
" People do not trust politicians and the justice system so rumors of kidnappers gain ground and lynchings happen – it's a complicated social problem and WhatsApp and other networks amplify the message. "